VODAFONE Lautoka Football Association team captain Benaminio Mateinaqara is not taking their opponents AS Dragons lightly as they prepare for the Oceania Football Confederation (OFC) Champions League quarter-final clash on Sunday, April 8. Mateinaqara, who is one of the top goalkeepers in Fiji, said Dragons, who are tagged favourites for this clash after topping their pool, would take advantage of the 12th player, which is its home support. He, however, said the team is not leaving any stone unturned during training sessions. “Preparation had been going good as the national team players are back with us and it’s also a morale booster for us,” he said. 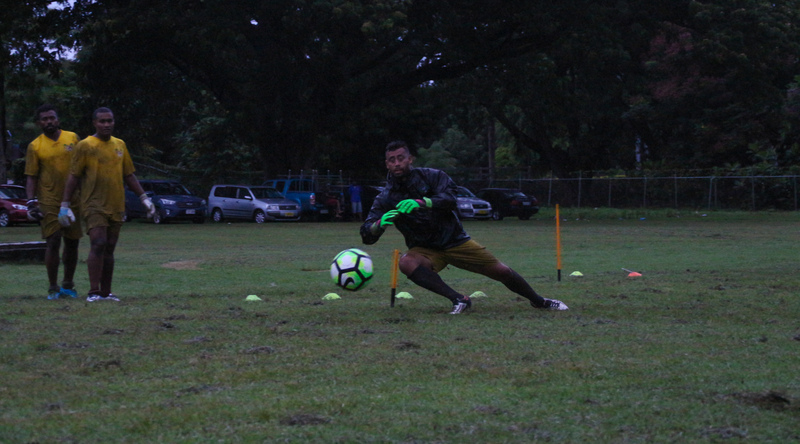 The 30-year-old gutsy goalkeeper said the return of national reps Dave Radrigai, Kavaia Rawaqa, Zibraaz Sahib and Kolinio Sivoki would add more depth to the side. “They have brought along with them some good experience from the national team which will be of benefit to us. He said the team would be delivering their best on the game day as expectations from fans were always high. “We just have to keep our fitness and stay focused on the game plan.